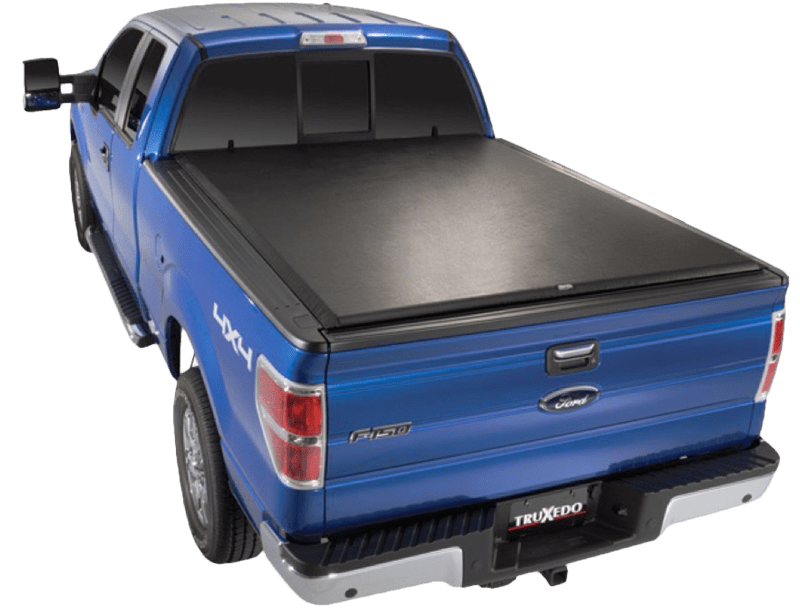 Adding a truck bed cover from Driven Sound and Security in Negaunee is a great way to improve the functionality of your pickup and help keep items secure. 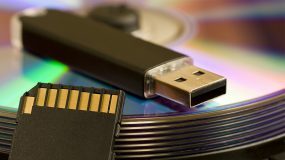 Hundreds of covers are available from dozens of companies, so we’ve researched some of the best options to meet the performance and security expectations of our valued clients. 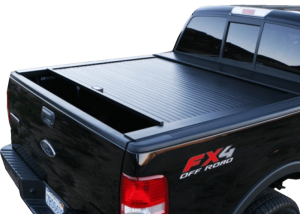 Soft covers offer protection from weather and conceal the contents of your truck bed at a very reasonable price. One of the most popular covers we offer is the Lo Pro from Truxedo. The Lo Pro is a soft cover with a strong aluminum frame and lateral supports to protect the contents of your truck from water, snow and debris. The cover can be opened quickly from the driver’s side of the vehicle, and the patented tension control keeps the cover taut in all types of weather. If you want to improve the security of your tools or any other items stored in your truck bed, then a hard cover is worth investigating. Hard covers lock from the inside and once your locking tailgate is closed, the contents of the bed are secure. Hard covers can’t be cut open with a knife, so your cargo is much more secure. Roll-up covers are available in two styles. Conventional designs roll into a cylindrical shape that sits on top of the bed just behind the rear window. The alternative is a retractable cover that includes a canister that sits at the back of the bed. In the case of either roll-up style, the cover or canister takes up 4 to 8 inches of space at the back of the bed when open. Additionally, retractable covers have larger side rails than covers that roll up on top of the bed. 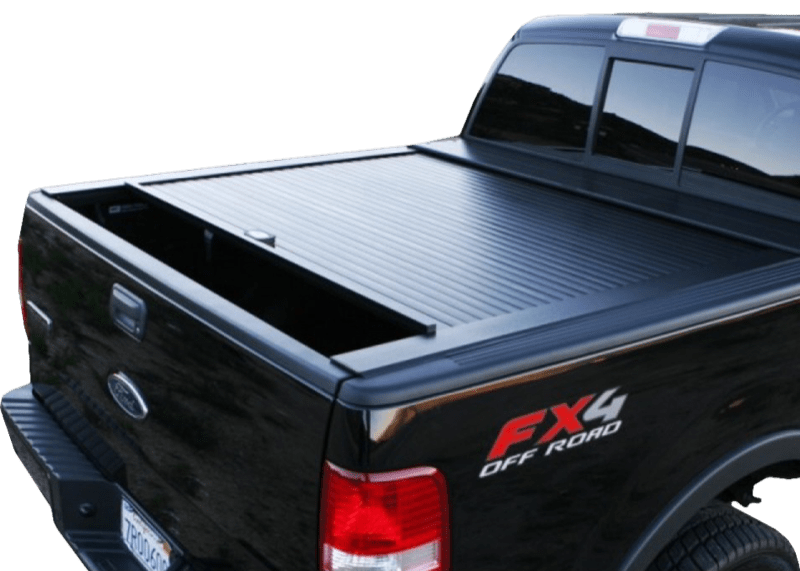 Retractable covers are popular for clients with fifth-wheel hitches in the bed of their trucks. The BAK Industries Revolver X2 uses interlocking extruded aluminum slats to provide a durable surface. With the cover closed and the locking tailgate shut, the contents of your truck bed are secure. The Revolver X2 rolls up quickly and includes straps to keep it safe at the back of the truck bed if you need to haul large items. Folding covers are available in hard and soft designs. While the soft covers offer excellent value, the hard designs add protection to the bed contents with the added benefit of being able to carry light to medium loads on top of the cover. The BAK Industries BAKFlip G2 folding hard cover features heavy-duty aluminum-skinned solid core panels that fold up and out of the way when you want to load or unload your cargo. Each panel has a dedicated latch so that you can open as much or as little of the cover as required for the task at hand. Whether you are using your truck in the heat of the summer or a cold February morning, the design and materials of the covers we offer are up to the challenge. Locking and release mechanisms are hidden under the cover so they won’t get dirty, fill with ice or start to rust. Many of the covers we offer sit flush with the sides of the truck bed to eliminate the chance of wind noise when on the interstate. 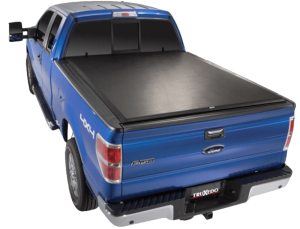 If you are interested in adding a truck bed cover to your vehicle, drop by DrivenSS in Negaunee and speak to one of our Product Specialists. Whether it’s a soft roll-up cover or a motorized retractable cover with remote control, we’ll help you pick the perfect solution for your vehicle and get it installed for you quickly. For more information, give us a call or send us an e-mail using our contact page.